Students from the national science olympiad team of Kazakhstan are posing for a group photo at the opening ceremony of 2016 UNIST International Science Camp. The 2016 UNIST International Science Camp will be held at UNIST from May 24th to 30th, 2016, inviting a National Science Olympiad Team from Kazakhstan, a country rich in natural resources. This is a weeklong intensive problem solving camp to help students prepare for the future science related endeavors. This year’s science camp was attended by a total of 17 gifted students from Kazakhstan and 4 teachers in charge. The primary purpose of this event is to train younger students in Olympiad-level problem solving and broaden their science, technology, engineering, mathematical (STEM) horizons. This event is not only a training camp but also a competition in and of itself. 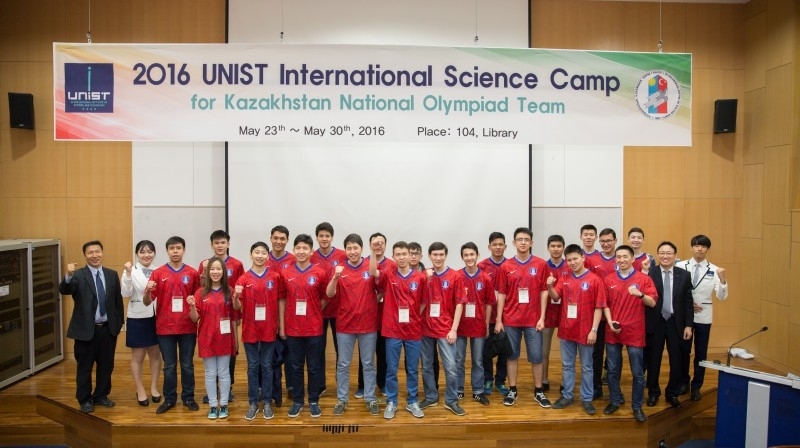 The National Science Olympiad team of Kazakhstan at the opening ceremony of 2016 UNIST International Science Camp. Almas Serikov (Division of General Studies) from Kazakhstan is smiling during a lab project at the 2015 UNIST International Science Camp. For three years since 2013, a total of 27 medals have been won by students who participated in the previous UNIST International Science Camps. 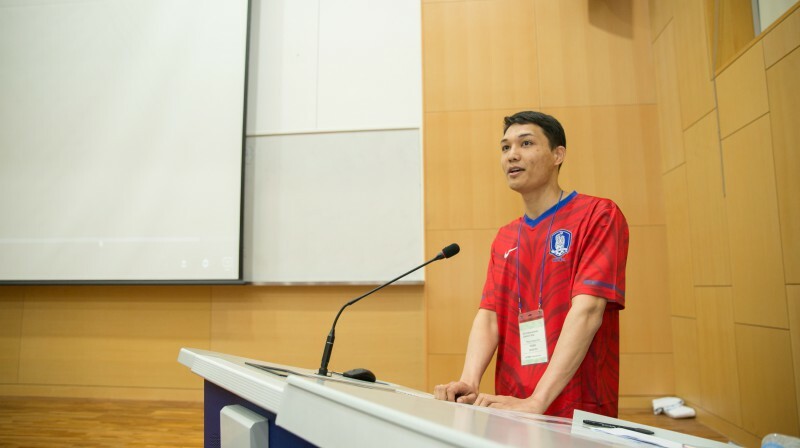 Moreover, among the past participants, there was one student from Kazakhstan, named Almas Serikov who has been accepted into UNIST for Division of General Studies, last year. Mr. Serikov attended the camp in both 2014 and 2015.